Disha Director KN TiwariFounder director of Disha Social Organization Keshwa Nand Tiwari is a noted social worker of the state and country. His contribution to women empowerment and mobilisation and empowerment of the labour in unorganised sector is beyond comparison. He is famous for economic and political uplift of and advocacy for these sections of the society. The roots Tiwari's work can be traced back to his own childhood. Born in the family of Mr Mahanand Tiwari and Mrs Basudevi of the Purbal Gaon in Hindao Patti of Ghansali development block of Tehri Garhwal district of Garhwal Himalayas, Tiwari could not attend the school in the age in which children of his age were regularly attending the school. The reasons were domestic: He was burdened with taking care of younger siblings, taking cattle for grazing and helping his mother in domestic chores. At the same time he used to become very sad by seeing the behaviour of resourceful towards deprived. Somewhere in the mind of the child, who was illiterate till that time, a spark was ignited that if these disparities in the society had to be fought nothing could be done without getting educated. This brought him to Dehradun, where his father was earning his livelihood as a priest. He was admitted to Standard II of the primary school being run by Dehradun Cantonment Board. But he was quite older to his fellow children and was physically much bigger. The children used to tease him and this further strengthened his desire of education. As a result he passed two classes each in the first two years. After primary education he got admission in Gorkha Military Inter College, Dehradun. There he developed interest in debates, cultural programmes and extra-curricular activities. He bagged first place in these activities several times. He became secretary to the Proctorial Board when he was studying in Intermediate class and was supported by the college principal, Mr GS Thapa. While still studying in Intermediate, Tiwari made attempts to organise the youth. He formed a Youth Club in his area of residence, Garhi Cant. Both young men and women became members of this club, which organised games, cultural activities, debates, etc. Parents of these young men and women praised the club supported by the chairman of Gorkhali Sudhar Sabha, Late Colonel Shashi Shamsher Jang Bahadur Rana. In exchange the club contributed to establishment of a library in the sabha. For graduation level education Tiwari took admission in Guru Ramrai Degree College. Here he became president of the college chapter of the National Student Union of India. Soon he also became vice-president of the City Youth Congress. In the meantime, he got in touch with the coordinator of the Dehradun unit of Nehru Yuva Kendra, Mr Avdhesh Kaushal. This aroused his interest in social work. In 1987 he became a volunteer of National Service Volunteer Scheme. He took training in social work from Lucknow-based Literacy House. Soon elections to the Cantonment Board of Dehradun were declared. Tiwari contested the election and got elected as member of the board. As a board member he raised the issue of drinking water before Late Hemwati Nandan Bahuguna, who was at that time Chief Minister of Uttar Pradesh, the parent state from which Uttaranchal was carved off in November 1999. Even today the residents of the area remember him for this. On the other hand as a volunteer he formed 30 Youth Clubs in Jaunsar Babar tribal area of Dehradun. He conducted with zeal activities related to education, voluntary labour contribution, games, cultural programmes, etc. These clubs significantly contributed for the development of bonded labour and women of the area. Soon he was appointed as an investigator by the Adult Education Directorate. He did his job with dedication and devotion. In the beginning of 1980s he visited Japan as a part of delegation on the occasion of the birthday of the Prince of Japan. This was his first exposure to any foreign country. Several doubts arose in his mind when he saw affluence of Japan. When he came back to India, Mr Kaushal proposed to him to work with the organisation Cendit working in the Chilkana area of Saharanpur district. Mr Rajiv Jain of Cendit had requested Mr Kaushal to this effect. After considerable thought Tiwari came to the area along with another worker of the Nehru Yuva Kendra Manorama. After studying the area for nearly two years, he concluded that an integrated approach was needed for the development of this area. To meet this requirement Disha Social Organization was established. In the initial stages of work Tiwari made efforts to organise agricultural labour. An eminent lawyer, Mr Premnath Garg, cooperated with him in his efforts. Mr Sanjay Garg of this family and several other respected citizens of Saharanpur contributed to the development of Disha. The rest is just a history and merges with the history of Disha Social Organization itself. Tiwari has considerable international exposure. He went to Bangladesh with wife, Jahnavi Tiwari, to study the rural development model being pursued by Bangladesh Gramin Bank and other organisations under Micro Savings and Credit programme. The 10-day visit took place in the year 1997. He was invited as a representative from India to an international conference on prevention of violence against women. Representatives from 13 countries of the world attended this conference organised in 1999 by Braunbraud, a network organisation based in The Netherlands. Two years later in 2001 he participated in an international conference on the issue of sustainable agriculture. The conference was organised by the Foundation Denis Gusard, a France based organisation. In 2002 he presented a paper on the topic 'Violence against Women in India: Suffering Continues Despite Progress All Over' at an international conference organised to discuss prevention of violence against women. The conference was organised by ICSW, an organisation based at The Hague, The Netherlands. Today Disha has grown into a big tree. In its growth contribution of Jahnavi Tiwari, wife of Tiwari, cannot be forgotten. Tiwari is associated with a number of voluntary organisations in different capacities. He was chairman of the Uttar Pradesh Voluntary Action Network (UPVAN), a state level network of voluntary organisations in Uttar Pradesh. He is member and treasurer of the national executive of the all-India network organisation Voluntary Action Network of India (VANI). He is in regular touch of several organisations both in and outside the country. In addition several government departments take advice from him in their planning. Tiwari has done exemplary work in promoting mutual brotherhood among Hindus, Muslims and followers of other religions. Under this, activities like Holi Milan, Roza Iftar, Ambedkar Jayanti, Balmiki Jayanti, Ravidas Jayanti, etc., are organised. By establishing Disha Social Organization, Tiwari has raised voice against exploitation of women, atrocities against women and inequality. This voice was raised in a forceful manner by the same women who were exploited by the society and families. Mr Tiwari made them aware of their rights and developed capacity to struggle against their status. A senior worker emerging out of these struggles, Rehana Adib, was honoured by Rotary International Award 2001 for women empowerment. 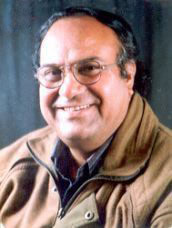 Tiwari was conferred 11th Red and White Award 2002 for bravery in social work.